See films before they come out and get tons of additional benefits! A Complimentary pass to at least one monthly film screening. After most screenings, there will be a “Hosted Discussion” with prominent members of the local film community, including critics, professors, and other film experts. Audience members can discuss and ask questions about different aspects of the film presentation. While each member is guaranteed one screening per month, often there are multiple screenings per month. 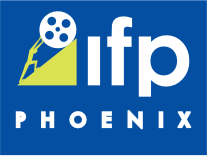 The Phoenix Film Foundation also sponsors “Insider Screenings”. Members get invited to these screenings before the rest of the Insider subscribers, up to two days in advance! Everybody loves to wear the latest in Film Festival gear – and members receive a 20% discount on all Festival merchandise! Invitations for special film events. 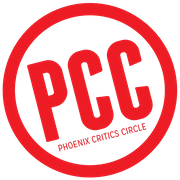 The Phoenix Film Society also presents seminars and conversations with actors and filmmakers, and Phoenix Film Society members will be the first to know with discounted or free admission for these events. In past years, events have been attended by Bill Paxton, Shia LeBouf, Jerry Bruckheimer, Derek Luke, Josh Lucas and Felicity Huffman. Phoenix Film Society membership includes complimentary passes to the annual Phoenix Film Festival. 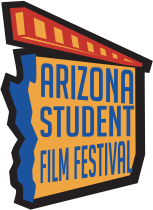 Your level of Society Membership includes equivalent Passes to enjoy the biggest Film Festival in Arizona. Please see below for membership levels and pricing. Fit your Phoenix Film Society membership to your life! You can join the Phoenix Film Society with an individual membership or a couple membership. Individual memberships receive one pass per Society Screening and Couple memberships receive 2 passes per society screening. Mondays and Tuesdays? Wednesdays and Thursdays? When you join, you choose which days you would like to attend screenings. You can see films scheduled on Mondays and Tuesdays, or films scheduled for Wednesdays and Thursdays. For an additional fee, you can join both groups of filmgoers! There are three different membership levels to choose from. Along with the standard benefits, Filmgoer Level members receive a Flex Pass (Retail $45) to the Phoenix Film Festival which entitles you to one ticket to any 4 films at the Festival excluding Opening Night. Along with the standard benefits, VIP Level members receive a VIP Pass (Retail $400) to the Phoenix Film Festival which entitles you to one ticket to every film at the Festival excluding Opening Night. VIP Pass holders also get front-of-line access to all theatres (priority seating), an Official Phoenix Film Festival T-Shirt, a VIP partner bag, drink tickets and entry into the VIP area at the Party Pavilion. We have a Phoenix Film Society for any budget.